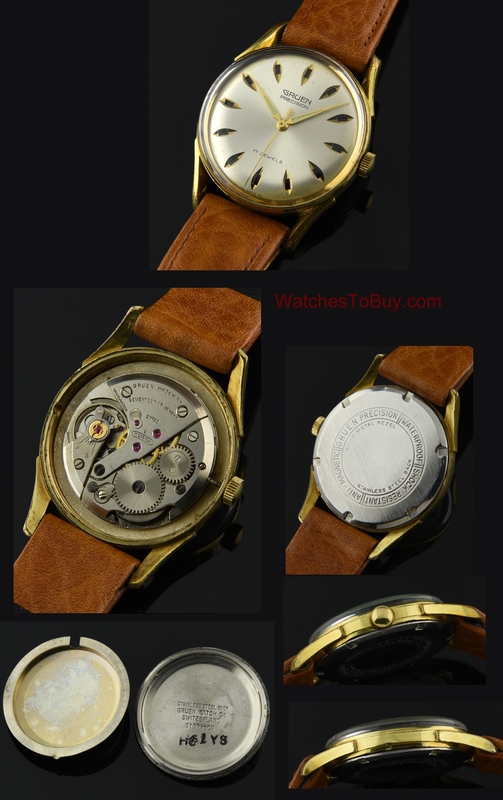 At WatchesToBuy.com we always try to find interesting watches that many collectors seek. Here is another great example. This is the GRUEN DAY-NIGHT. The gold plated case with signed, stainless steel screw back and bombe lugs (inwarldly curved) measures 33mm and with the naked eye, looks very good-without major scratches or dings. This dials on these watches are very interesting. The apertures at each marker display “green” during the day, then after 12:00 am. they turn black. 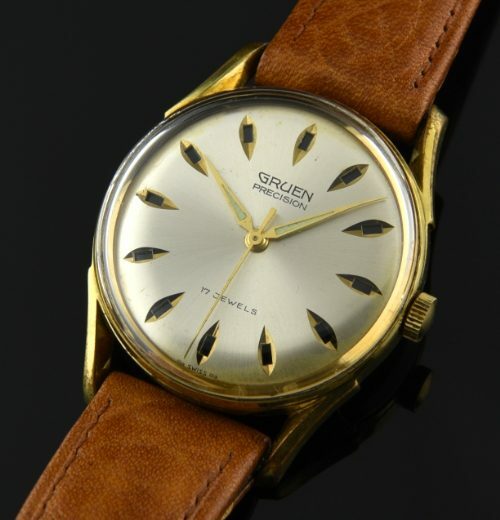 The manual winding GRUEN movement was just cleaned and keeping time perfectly. The band is a GRUEN signed new leather.